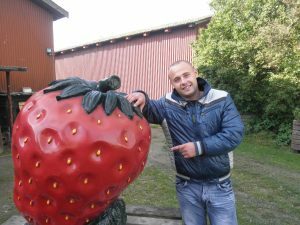 Internship Opportunities - Agriculture Internships in Denmark.Agriculture Internships in Denmark. Next 6 – 12 month from DKK 13.136 (1.759,00 euro)gross per month. If you are interested in any of the following areas, our Danish Internship Program will be a great experience to add to your CV. If we currently have no vacancies of your interest, please feel free to register your CV for future job opportunities.  HOT! 11 Positions – ️ 12 Months APPLY NOW! The internship program offers individuals a 360 degree view of what goes into swine production systems, which includes training, hands-on work experience, and professional development activities. Students will have the opportunity to network with industry professionals and gain exposure to all areas of the overall business. 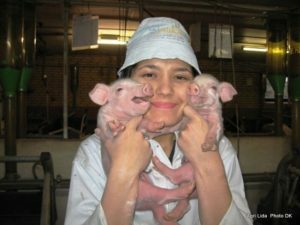 The majority of Danish pigs are housed indoors, creating a comfortable and efficient environment for the animals and the workforce. An average sow farm will consist of 1,000 sows and an average finisher producer will produce 11,000 pigs annually. Exposure to all facets of the pork industry. Sow, nursery and grow-finish production. Sow breeding, farrowing and health strategies. 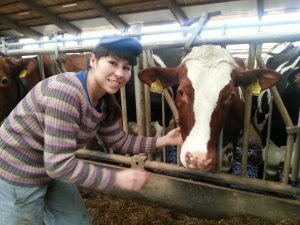 Dairy Training Program participants get the opportunity to be involved in all aspects of the operation including milking, feeding, cleaning, record keeping, treatment of sick animals, and waste disposal/sanitation. Dairy Training Program participants may be involved with the hosts’ breeding and nutrition program as well. Preferably a student working towards an animal science or dairy science degree. An average herd size is close to 195 cows. Field Crops And Machinery Internship. Host farms generally range between 100 and 2,500 hectares in size. Host farms give participants good insight into most aspects of their operation, which can include drive and maintain different types of agricultural machinery. As a Field Crops participant, you will need to have great experience operating tractor and as a intern, you might not drive all of the equipment. It would depend on your skill level and how careful you are with equipment.  Hot!! 1 Positions – ️ 12 Months APPLY NOW! The Equine Internship program is dedicated to improving the opportunities for students wishing to pursue an interest in the field of equine management. 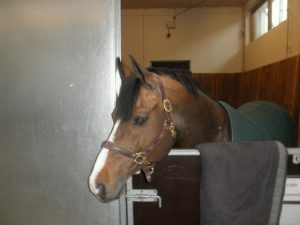 Through the internship, students gets practical day-to-day management of horsese and responsibility at the horse farm. In most cases, students work hands-on with horses, however some farms may also assign responsibilities associated with record keeping, veterinary care or farm maintenance. Provide routine health care and management of horses. Become familiar with oversight and management of a horse herd and farm. Fruit / Vegetable / Greenhouse / Nursery. Vegetable Production Internship generally include working with a variety of different vegetable crops. As a participant, you will gain hands-on experience working in sowing, transplanting, field preparation, and pest and weed control. You may also have the opportunity to help package, sort, and sell vegetable crops. 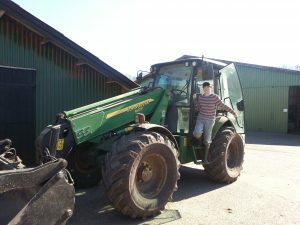 Individuals interested in a Vegetable Production Program may also be trained to operate tractors and other commonly-used equipment. You will be involved in feeding animals, cleaning and sanitation of stalls, rooms and mink facilities. Care of sick animals, processing weaning, record keeping, reproduction practices and management, vaccinations, and medicating sick animals. You will be involved transportation, waste control and treatment and moving animals inside the facilities. Also you will learn to determine cost of production, time management, and problem solving skills. Provide routine health care and management of minks. 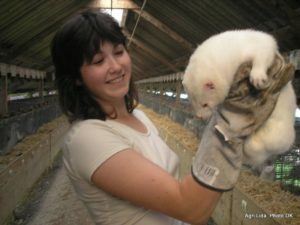 Become familiar with oversight and management of a mink farm. You will be doing a lot of work. Expect it. In your first few weeks, your work’s quantity and novelty can be stressful — you will likely struggle to complete tasks that you know other people find easy. That’s fine, it happens to every intern and you’ll get past it. Please remember, no job is perfect. No, please keep in mind that even if you meet the qualifications, there is no guarantee of an internship. Though we have a very high success rate, within this service we can not guarantee you a placement, as companies will make the final decision about your application. 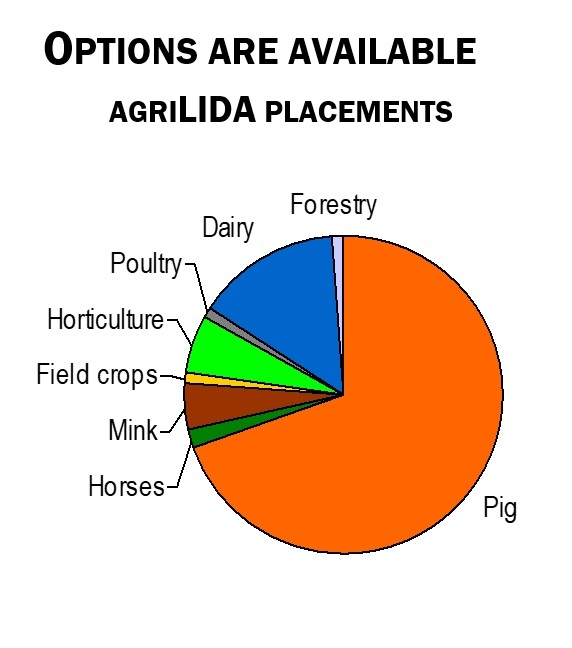 What the agri LIDA program does is help make you more “attractive” to a potential employer in a competitive job market. We want you to be successful and will try to help you any way we can! After the completion of an internship every intern is entitled to a internship certificate which bears agri LIDA Senior Executive Signature.